The result keeps many church members out of the sanctuary in those important first impression minutes visitors get of a church. We average about 55 on a Sunday morning. Our Sunday School that is supposed to end at 10:15am goes up until service start time at 10:30am. 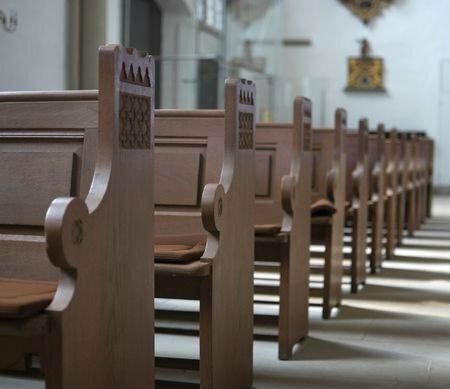 How do you get across the importance to the church and those leading Sunday School how important it is for people to be in the Sanctuary at least 10 minutes before service starts and not still in Sunday School? An empty Sanctuary I think is very uninviting to a guest and can make some feel uncomfortable. The basic principle that guides all your hospitality ministry is respect for your visitors. Ministry leaders should realize or be taught to realize that their small decisions before the service will impact their church’s ability to give a great first impression. This is even more important in the small church, where members may be held up in their Sunday School class. In a larger church, this may not be such an issue, as plenty of volunteers are likely staffing hospitality roles in effective ministry. I put this question out to members of my social networks, and here are some vital answers. Jim – First thing is to train your Sunday School teachers in the importance of ending class on time, so they can be in the sanctuary to greet new visitors and allow the service to start on time. Raymond – In my experience this HAS to come from the Senior Pastor. If he is not on board with ending Sunday School promptly and starting service promptly at the given time then you are fighting an uphill battle. Get your Pastor on board and ask him to stress to all of the teachers that they need to end their lessons promptly. In addition maybe have him have a 15 minute meet and greet with lively music during the intermission between SS and church. Encourage all your members to shake as many hands as they can during this time. Its amazing what a little personal warmth does for people. This will encourage interpersonal relationships in the body while making for a warm atmosphere for guests coming for the first time. Its those very first impressions that make the difference between building a church and just getting by. Your Pastor should be on board with any or most of these suggestions if you present them positively. Lawrence – Chris, my church have Sunday School at the same time as the Sunday Service, the reason is that the parents can attend Sunday Service and their children take care of by the Sunday School teachers and workers. The parents can concentrate on the sermons without worrying of their children and the children can learn the word of God without disturbing the Sunday Service. My church has around 60 members too. Stan – First, I would try a gentle suggestion of, “I’m sure you mean no disrespect but holding the class over is creating a logistics problem. I’d appreciate your help with this.” Should the problem persist, you may find a tactic I used to use when meetings over ran their time helpful. Either my assistant or myself would step into the room and announce, “I am so sorry to interrupt. I know how time can get away from us sometimes, but in order for us to keep the service in order, we really need your presence in the main service.” We would then remain standing in the doorway until the session was dismissed. A few times, and only a very few, I had to say “Let us dismiss with this prayer”, then lead the dismissal prayer myself. I hope you find this helpful. Dave – In my church, Sunday School begins after the opening prayers of the congregation. The pastor calls forward those who wish to attend Sunday School, usually the youth and sends them down for their Sunday lesson. Meanwhile the congregation can go on with the Sunday Service. Phil – We dismiss anything going on at least 15 min before service starts so people can walk into a warm and friendly environment. We believe there is much ministry done when people enter the building and can determine weather they come back again. We call it lobby ministry time. Jim – Someone like that teacher considers himself more important than others. He/she should be reminded of the time situation and have them stick to a schedule. All part of being humble and submissive and on time. His response should be noted. Gilbert – Chris I would suggest that you design your service without an intermission. You could try to move right into praise and worship segment right after Sunday school ends with a praise and worship team consisting of 3-5 members. No more than three or four praise songs and then move right into your worship format. Good music draws people. They will gladly remain seated in the sanctuary. James – I think it depends on “how God has knit you together”, whether you can be bold and direct or reserved and calculating. But remember in all things, Pray, Pray, Pray. It’s ultimately up to the Lord anyway. Greg – First, pray and pray some more for God to make hearts receptive to this need you have wisely seen. I believe it is a matter of respect: for the pastor who has prepared all week long for this service, for the guests, especially the lost who’ve come, for God, whom you are looking to for salvation of the lost and challenge and change in the saved. I would approach them with a list of just how important the worship service is and that timeliness is very important in effectively serving the Lord and the congregation. People today want meetings to be timely. Our church has a countdown clock on the large screens in auditorium and the service ALWAYS starts right on time and ENDS on time. People appreciate that in today’s society. Hope this helps! Brian – 1) Tell the Sunday School Teachers. 2) Change the start times if they need the time. 3) Ring a bell at 15 minutes before the service begins. 4) Start prelude music right after the bell rings. Bishop M.R. – As Pastor, I require that each Officer, Teacher, Minister, Praise Leader etc… attend “altar prayer” 30 minutes before taking on their respective responsibilities before each service. Rick – Church Greeters are to make visitors and new attenders feel welcome and at home. As for the issue of the congregation being in sanctuary at start, the most effective method is to open with prayer and close the doors during prayer and reopen once worship begins. this serves as a direct advisory as to when services start. Darla – Perhaps a song that is a upbeat song…it’s louder and tells everyone it’s time to start… Our church does this… the music is the alarm to let everyone know church is starting… they usually do 1 or 2 upbeat songs then the pastor steps forward and welcomes everyone and prays before turning it over the worship team. While that initial song is playing people are filing in and getting their seats and others that were already there are clapping hands and singing. Of course prayer is essential… however finding a new way to alert everyone without upsetting anyone can be a good thing too. Bill – My take is that you need at least one person that shares your vision who is willing to take on a volunteer role, e.g., greeter coordinator or similar title, and have them begin to draw a corps of folks together as greeters, church ushers, etc. We have a larger congregation (about 1200 on a weekend). My wife took on this role over a year ago. The perception of our church (we are told by new visitors and some who have been away & returned) is that we’ve moved from being viewed as an unfriendly church to a friendly one. We have greeters at the main doors, ushers who also greet and distribute bulletins as people enter the service, a Connection center (Q&A, gift package for newcomers, “guides” to get people – especially those with younger children – to the right location, etc.) and it has paid off. People who feel welcome are much more likely to return (Duh, he says). Is it work? Yes. Is it worth it? Yes. Bill Manley – Our situation is similar and I have instructed our SS teachers that they must conclude at least 15 min prior to start of main service. We need to be punctual and so I’ve put folks in charge who are mindful of this and they make sure things are wrapped up when they need to be. Richard – Pastor (Bill) Manley hit on probably the most important answer to this dilemma. If able, put people in charge that are mindful and respectful of the importance of getting to the sanctuary early enough to make guests and new attendees comfortable and feeling welcome. Linda – I agree with Bill (Manley). if this is important then it is vital to get the SS staff on board. They have to see what they do as leading actively into ministry. But make it a positive invitation to participate with the heart of the pastor’s vision for the church. Not that they are losing 15 minutes their time. Austin – Hey Chris, I live the question. I look at this as a pastors situation to deal with. The greeter can ask for the Sunday school leaders help but the Pastor can help to impart the true necessity. A loving sit down with the leader over coffee would be a great way to start the conversation, and out of that can hopefully come a resolution. I do agree though- an empty sanctuary can be disheartening both to visitors and regular attendees as well as volunteers playing instruments or doing sound. Be blessed! Elaine – Hi Chris, 1) Have a workshop for the church incorporating all aspects of running it and looking after the fellowship. Allow an open forum for congregants to share ideas and contribute skills / abilities. Look at what is biblical and what is practical. If the budget is available, invite the pastor of a small successful church to join you and lead the workshop. 2) Consider some assertion training / counseling? You’re a Christian, not a doormat. 3) The pastor/vicar/leader should be having this particular heart-to-heart with the leader of the Sunday school shouldn’t he/she? Michael – Teach on kingdom excellence and doing all things in the house of God that would honor His presence. Naomi – Change the time on the members. If you want church to start at 11:00am have Sunday school end at 10:45am or even as early as 10:30. If you are a church hospitality ministry leader or a pastor, what advice would you add to help that Sunday School leader honor visitors?